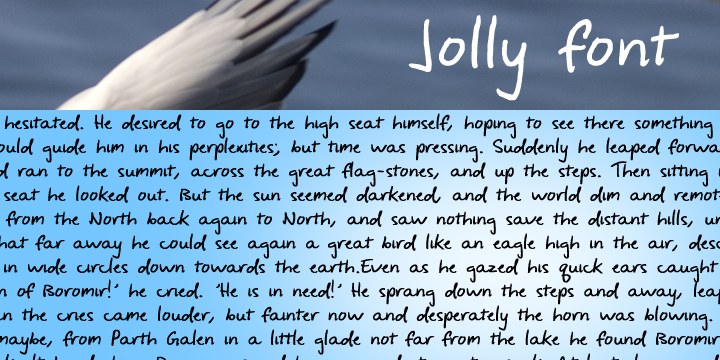 Jolly - $3.95 : Your Own Font Shop, The shop with unique handwriting fonts. Full latin character set. A feminine handwriting with dotless i's and j's. Looks good for long text as well as decoration!